In our previous posts, we shared about how to uninstall antivirus software on a Mac and what problems may arise in the removal process. Today, we want to highlight another antivirus program for Mac – Intego VirusBarrier. This application protects your computer against malware programs. However, if VirusBarrier did not meet your needs and you want to remove it from your Mac, read on to learn how. 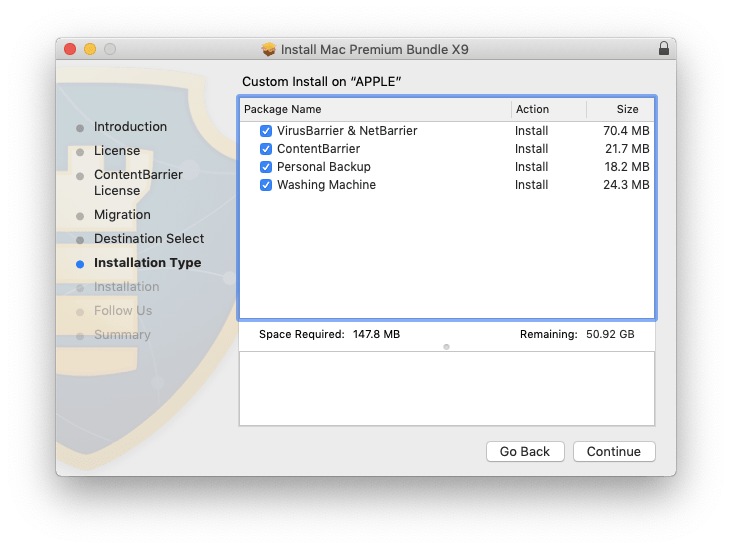 In this article, we want to share three ways to uninstall VirusBarrier on a Mac, completely and safely. What is the VirusBarrier app? How to remove Intego VirusBarrier using its native uninstaller? How to uninstall VirusBarrier manually? 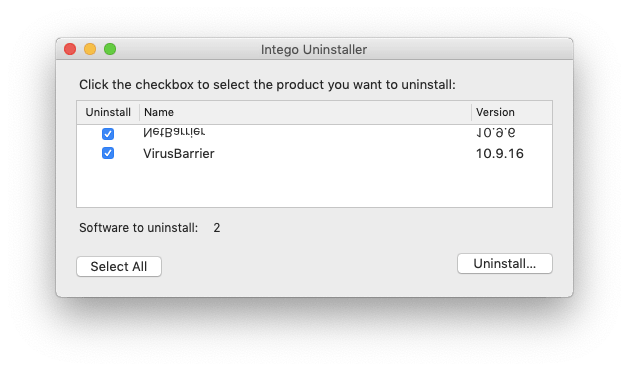 How to delete Intego VirusBarrier using App Cleaner & Uninstaller? What is the VirusBarrier Application? VirusBarrier is a complex application, which has several extra components for its proper performance. You may recall that when you installed the Intego antivirus program, you were asked to select additional applications to install along with the antivirus software. 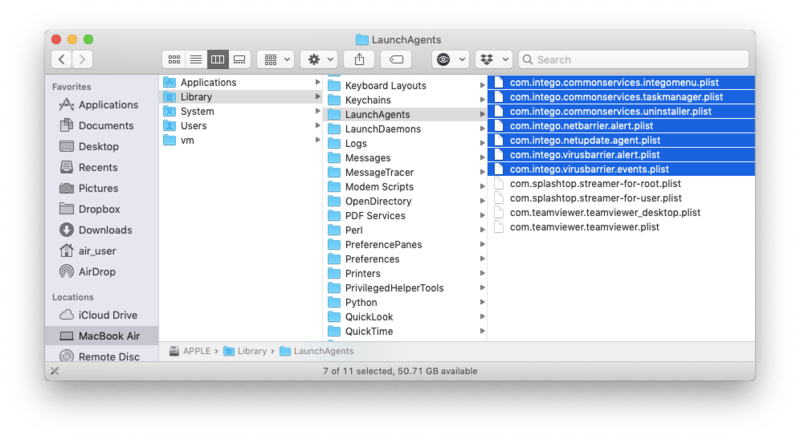 However, even if you only selected VirusBarrier & NetBarrier, the applications create plenty of service files on your Mac. It is important to understand that you have to remove all the app’s files when you want a complete deletion of the VirusBarrier app. 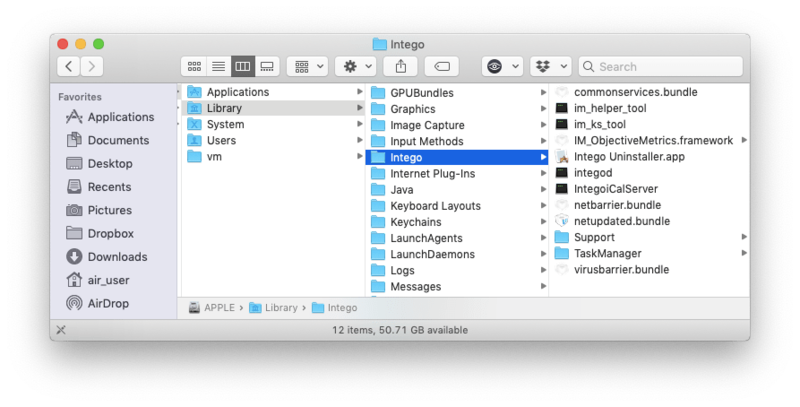 Considering the information above, Intego provides a native uninstaller, which promises to correctly and totally remove VirusBarrier and all its service files from your Mac. 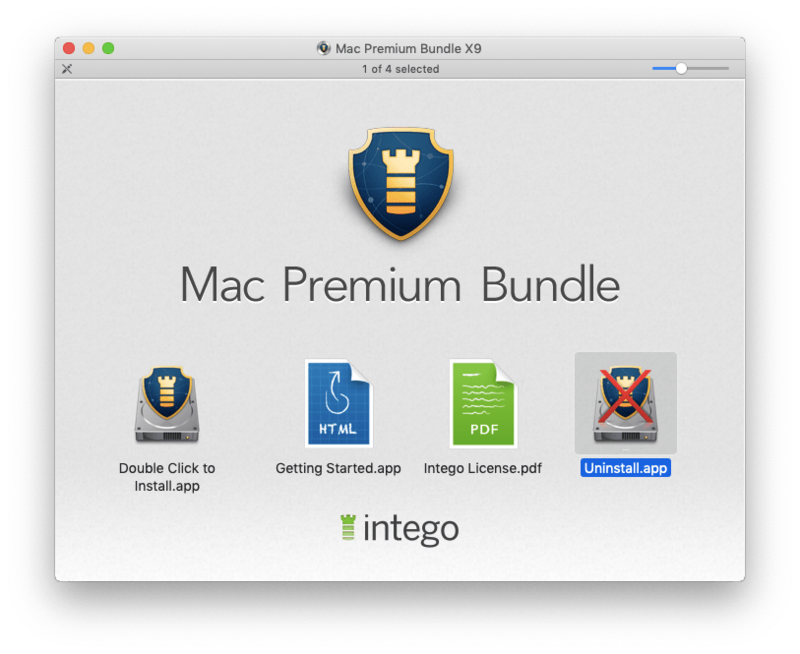 to start, open the Mac_Premium_Bundle_X9.dmg (your X version) file or download it from the Intego website and select Uninstall.app. In the window that appears, select the VirusBarrier and the NetBarrier apps you want to remove and click on Uninstall. Despite their promises, most native uninstallers do not completely delete the applications and their leftovers. 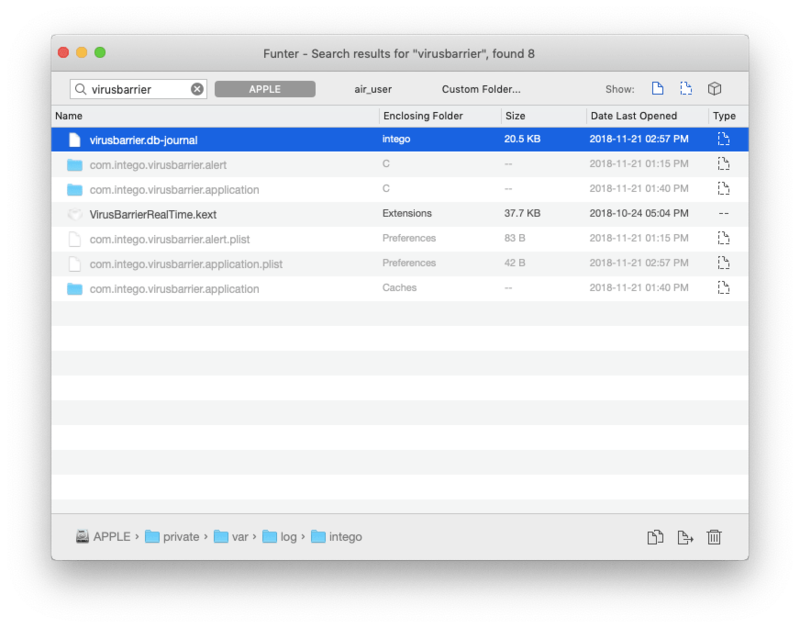 Therefore, we launched a free app, Funter, which helps to find files and folders with the app’s name, including hidden files. We searched for both the VirusBarrier application and Intego developer by name. As you can see in the screenshots below, Funter found some of Intego’s leftover files. This means that you will have a lot of hidden app files, even after using its official uninstaller. Due to this reason, we recommend using another method of uninstalling apps, which allows you to completely get rid of the antivirus program. Follow the instructions below to learn two methods of completely uninstalling VirusBarrier. Open the Applications folder → select the Intego folder, where the VirusBarrier.app is stored → drag and drop the folder to the Trash. Now go to the users’ hidden Library folder. In the Finder’s menu bar, click Go → Go to Folder → type ~/Library and click Go to get access to the user’s Library Folder. After that, empty the Trash bin to totally delete the VirusBarrier program from your Mac. Select all items related to VirusBarrier and Intego from the list in the Applications tab. All their service files will be selected automatically. In our case, we had the VirusBarrier, NetBarrier, NetUpdate, nb_alert, VirusBarrier Alert, NetUpdateAgent, Intego Uninstaller, NetBarrierMonitor and VirusBarrierRealTime_Legacy components on Mac. Click Remove in the bottom right corner to delete the apps and their remains. Empty the Trash bin to complete the VirusBarrier uninstallation on your Mac. 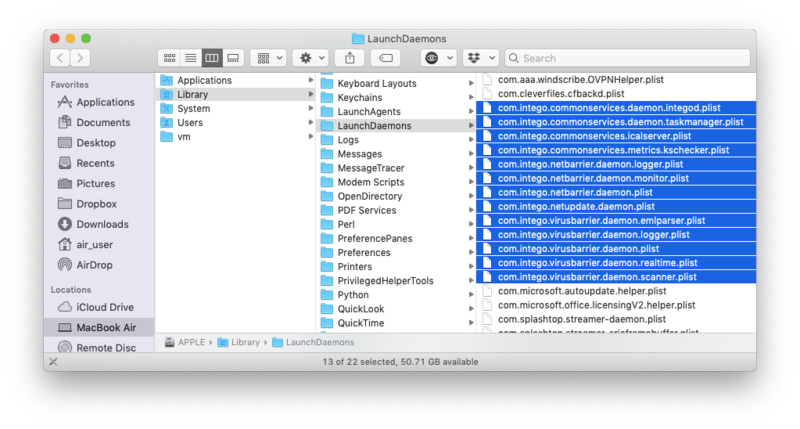 As shown above, when you decide to remove an application from your Mac, you should consider that each application creates and stores various service files on your Mac. Depending on the type of app and the amount of time you have, you may decide to use the manual method. 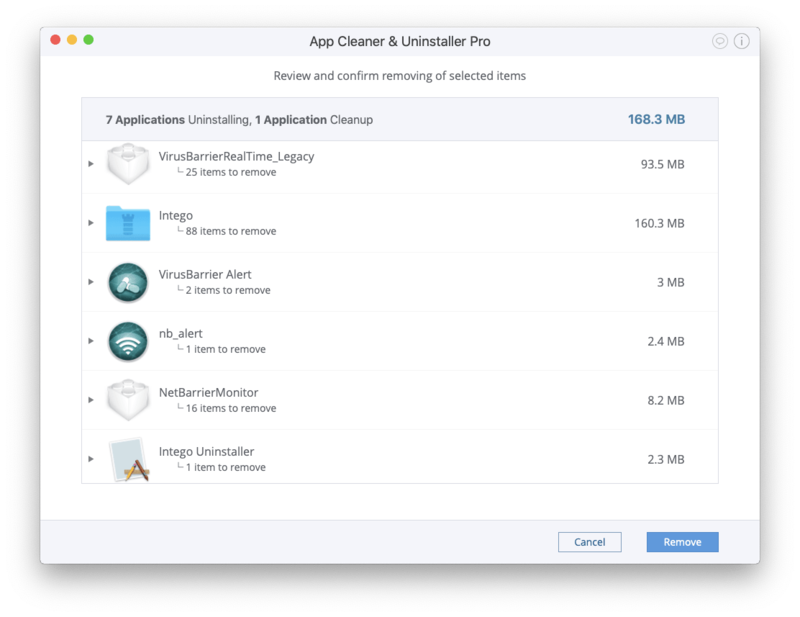 We recommend using App Cleaner & Uninstaller if you want to completely and correctly delete any application on your Mac. Plus, you can download its free trial right now to get started.